Aargh! That familiar feeling at this time of year as you dig out the Christmas tree lights from their box, only to find that somehow, magically, they have tangled themselves up into an horrendous knot. You’re forced to be patient and gentle as you extricate the lights and then finally – wow – you can hang them out. They look fabulous. I don’t know about you but I LOVE the rituals of this time of year; it’s so lovely to do the same sort of things, reflecting at the same time on how much has changed since last Christmas. In the same way, there are some things it’s worth detangling in your social marketing, or you run the risk of not noticing that time’s moved on. Here’s a festive list of things to review over the break, in between glasses of mulled wine. None of them require huge brainpower (which is a good job!) but they will all make a real difference in the new year. 1) Your email list. Is it organised correctly, or do you have repeat email addresses in different lists? I know I find it annoying to be emailed twice by the same business with the same content; are you doing the same to your audience? Take the opportunity to download your lists onto a spreadsheet, merge them, and then sort them alphabetically to see if you have repeat offenders in there. 2) Your Facebook Insights. When did you last have a look at these? If you go into Posts, you can check to see when your fans are online: are you posting then? While you’re there, click on Post Types; this tells you the best kind of posts to make for reach and engagement. Use this information to review what you share and how you share it. 3) Your Twitter lists. I’ve written before about why these are so important and how to use them – you can read it here. But over time, your lists can get out of date and messy. I’m not going to suggest that you go through all your followers and friends (I do want you to have a nice Christmas! ), but please do have a look at what lists you have and ask yourself whether they are still relevant. 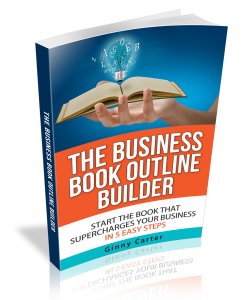 If you’re not using them all it may be worth merging or re-doing a list or two so that they are working for you. Now that Twitter has increased the number of accounts you can have in a list from 500 to 5,000 this is an especially good idea; see here for a video on how to merge your lists. And from now on, whenever you follow someone new, put them in a list! 4) Tag your Linkedin connections. This is similar to Twitter lists. Did you know you can tag your connections, making it easier to find the ones you’re most interested in? You could have tags for ‘hot leads’ or ‘great suppliers’ or anything relevant to your business. To do this, go to your contact, click on the Relationship button and create a tag in the screen that next appears. You can also add how you met them and any other information you’d like to record (they won’t see this, or your tags, it’s just for you). By doing this, you’ll be able to keep in touch with your most important connections much more easily. You can even mark a person for follow up, which will generate a reminder email to get back to them. So there you have it, 4 simple tasks that don’t take a lot of concentration but will make a big difference to starting the new year off on the right foot. Just make sure you keep sipping the hot toddy while you’re doing them. Is there anything else you’re planning to sort out over the break? (Apart from detangling those lights that is). Do pop me a comment below. Bah Humbug! 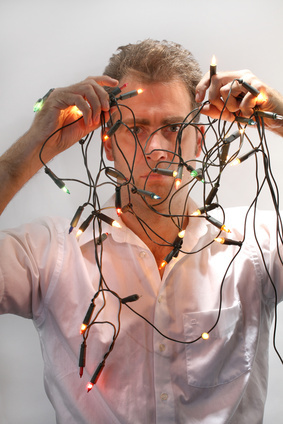 Not a Christmas fan, so no untangling of lights for me! Great tips for an online detangle though, Ginny – thanks! You are truly blessed if you don’t have to detangle any lights Jan. Thanks for dropping by.